Autumn or fall, whatever you call it, the season of falling leaves is here, this video loop will work neatly in your VJ projects. Use it in your fall themed media performances. 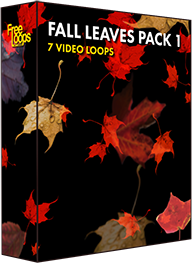 This video loop is part of Fall Leaves Pack 1.